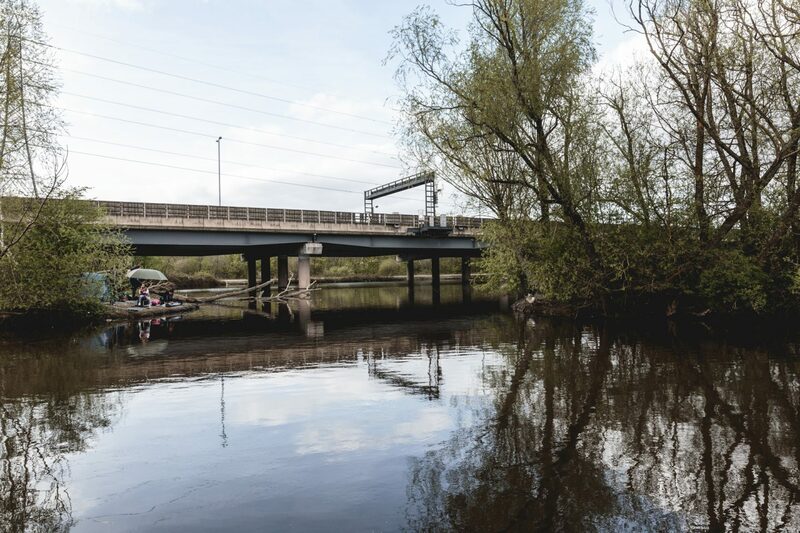 The pools were constructed in 1773-4 by James Brindley, originally designed as a reservoir to help feed the Smethwick Summit Level of his Birmingham Canal (later called the Old Main Line). 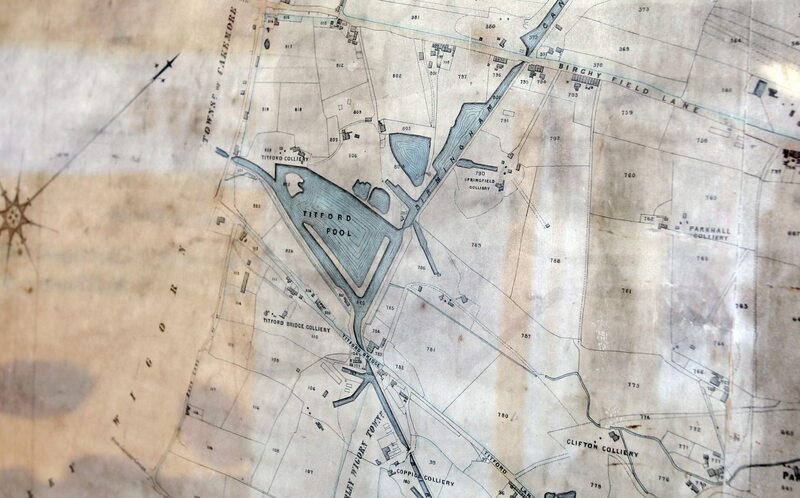 Rainfall from the Rowley Hills fed water into the pool, which then later was culverted to feed Rotten Park Reservoir. 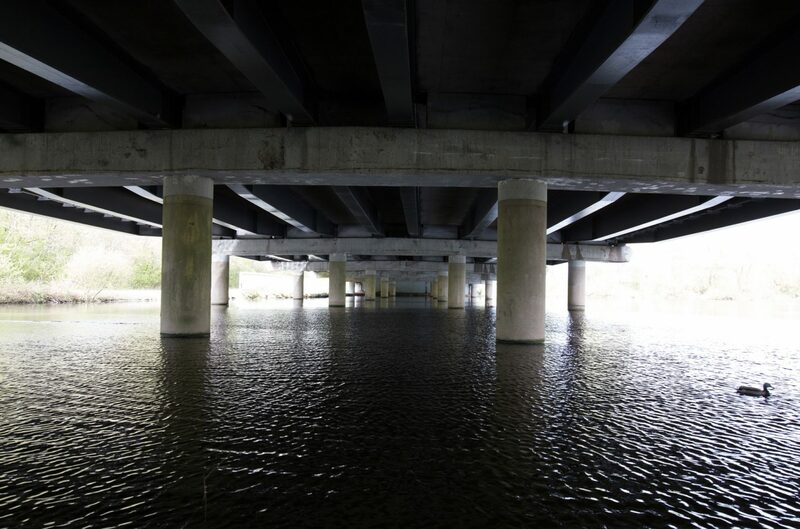 Today a haven for wildlife, the pools are partly covered by an elevated section of the M5 motorway. It fell into disuse during the First World War, but reopened in 1933 as Titford Pleasure Park, run by the Titford Lake Company. They restocked the pool with 10,000 fish, mainly roach and perch, with some trout. They built shelters, installed a refreshment buffet, bowling facilities, an 18-hole putting green and shooting range. Boats and punts were available to hire and motor boat trips organised. Langley Prize Band played at the Easter opening and Black Heath Town Prize Band on the Bank Holiday Monday. There were regular concerts and open-air boxing competitions, the Master of Ceremonies often being Jack Judge. 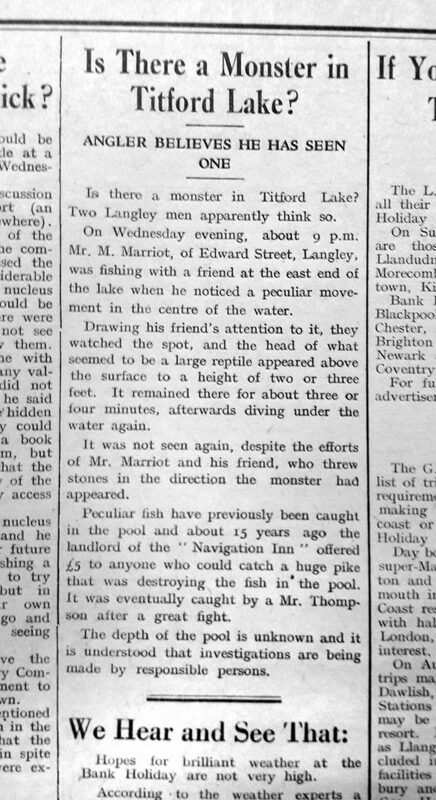 A swimming display was given that September that year, attracting 2000 people. The pleasure park was popular up until the outbreak of the Second World War, when it closed down after a drowning. 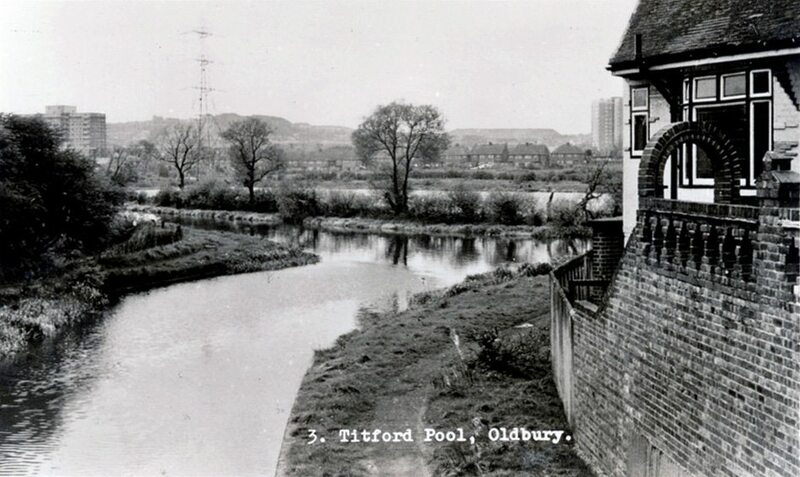 It had previously been the site of another tragedy in 1889, a story researched by Chris Cooper in local newspapers, when 21 year Joseph Harvey, a horse driver living in Titford Road, and 20 year old Lizzie Bates of Eel Street, Oldbury, committed suicide by drowning themselves in the pool. 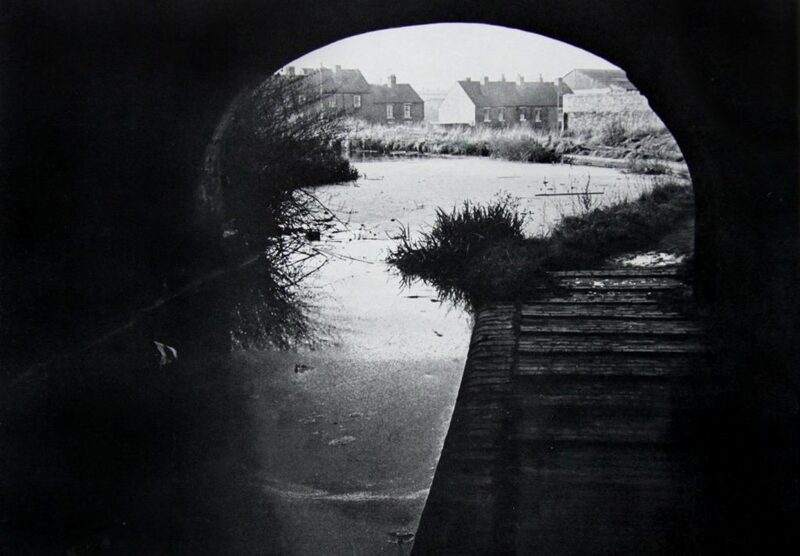 In July at the inquest held at the Brickmakers Arms, Church Bridge, Lizzie’s sister Hannah explained that the pair had visited Stourbridge on the Sunday and returned that night, and she had left them both downstairs in the family house. The next morning Lizzie was missing and her father found the note on a chest of drawers. Hannah thought that the letter addressed to the father of Joseph Harvey was in the hand of Lizzie, and the letter to the father of Lizzie Bates was in the hand of Joseph. It was reported that the couple had been courting for about three years but Joe’s father objected to the match. The father denied that he had interfered in any way to prevent his son marrying Lizzie, and said that he had only told him to look for somebody who could do him good. Two hats had been found by the waterside by one Enoch Handley. After the pool had been dragged for three hours by PC Bayliss and his team, the bodies of Lizzie and Joe were found tied together. It was reported that they had wrapped string around each other 30 times, and Joe’s wrists were also tied together; his watch had stopped at 2.20am. The inquest finally declared that the couple were in a sound state of mind when they wrote the letters but that they were temporarily insane when they got themselves into the water. 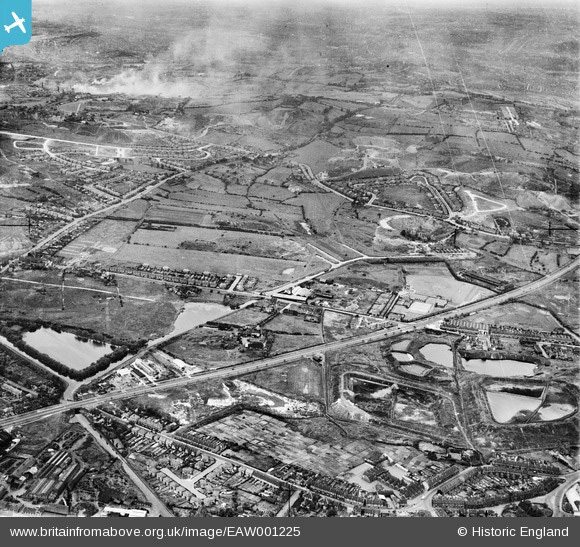 Image from 1946, showing Titford Pool bottom right. 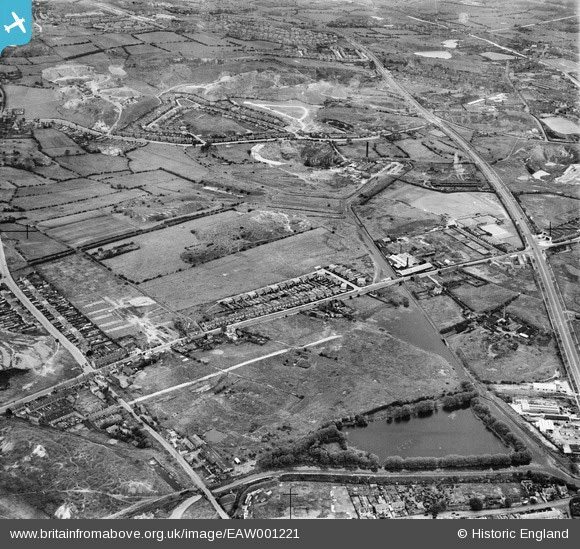 Image from 1946, showing Titford Pool bottom left, and the Blue Billies on the right. 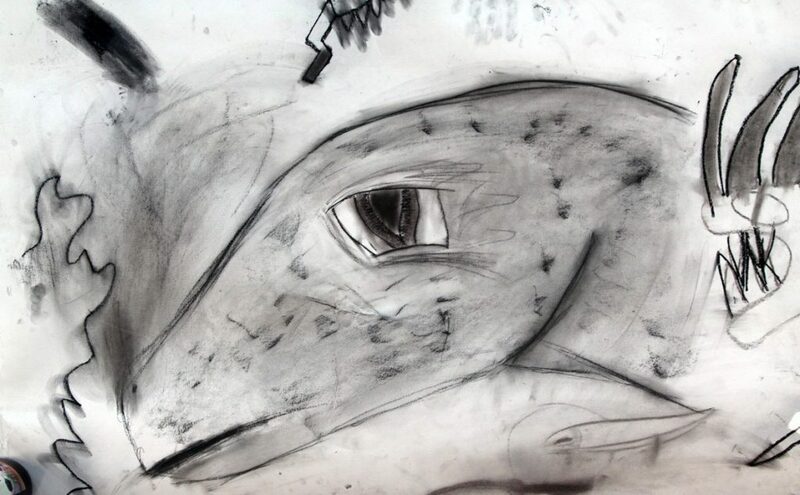 The Titford Monster, as imagined by children from Q3 Academy Langley.